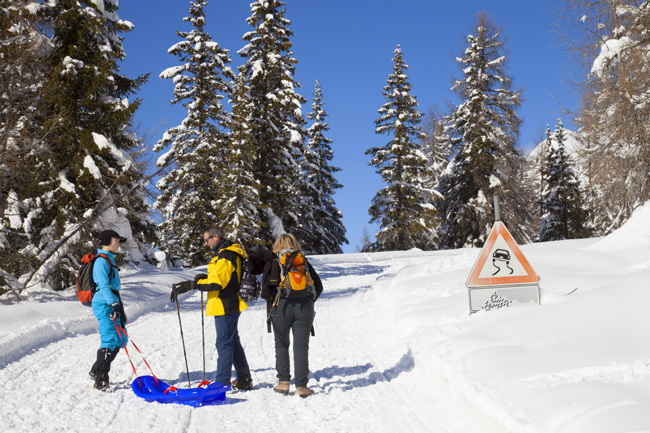 The Cadore Dolomites are the jewel in the snowshoes crown. A single, sunny area with winter walking routes which you can experience on snowshoes or skis for a unique snowy adventure. The routes are pressed with snowcats after abundant snowfalls and signed with special signposts (with the snowshoe logo and route number).